No kids allowed in the wooden cottage. Charges applicable for extra adult and for children from 7 yrs above. 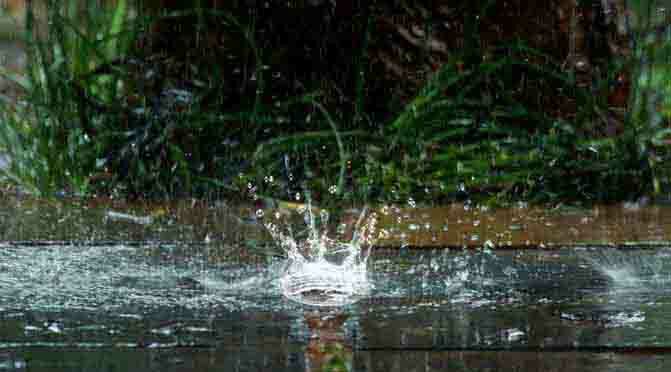 There is a world where time is befriended, silence revered and purity unrivalled. It’s where nature and man are no longer separate. Welcome to The Ibnii – a luxury resort in Coorg, where you work hard to choose among pleasures and deadlines are creases on well slept pillows. A place where stress is on vacation and seniority is an aged wine. With our bespoke luxury crafted aesthetically in this dew drenched coffee plantation, we are not merely a happy coincidence, but a match made in heaven. 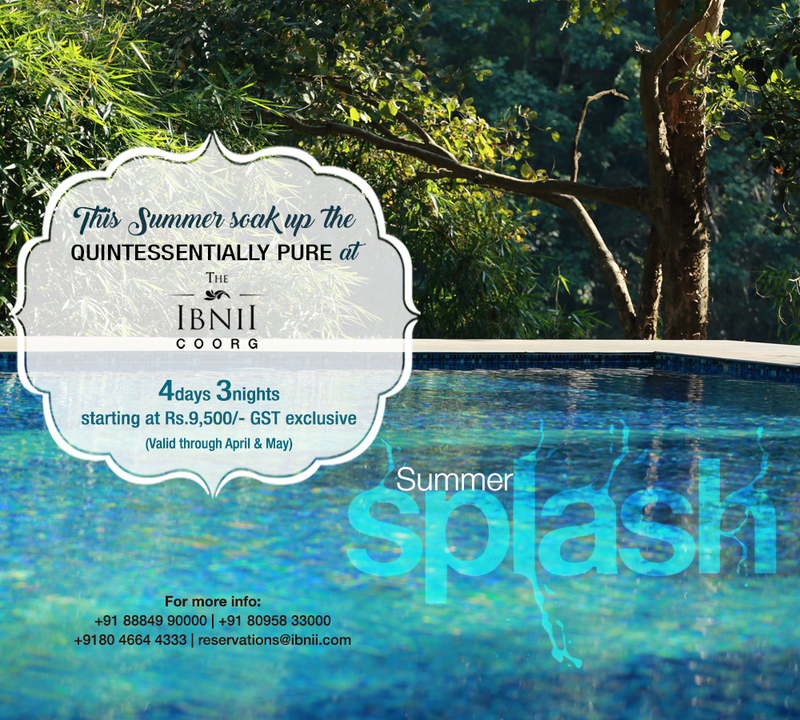 An ideal weekend getaway from Bangalore, The Ibnii is among the finest luxury resorts in Coorg and is poised to be featured among the best luxury resorts in India. 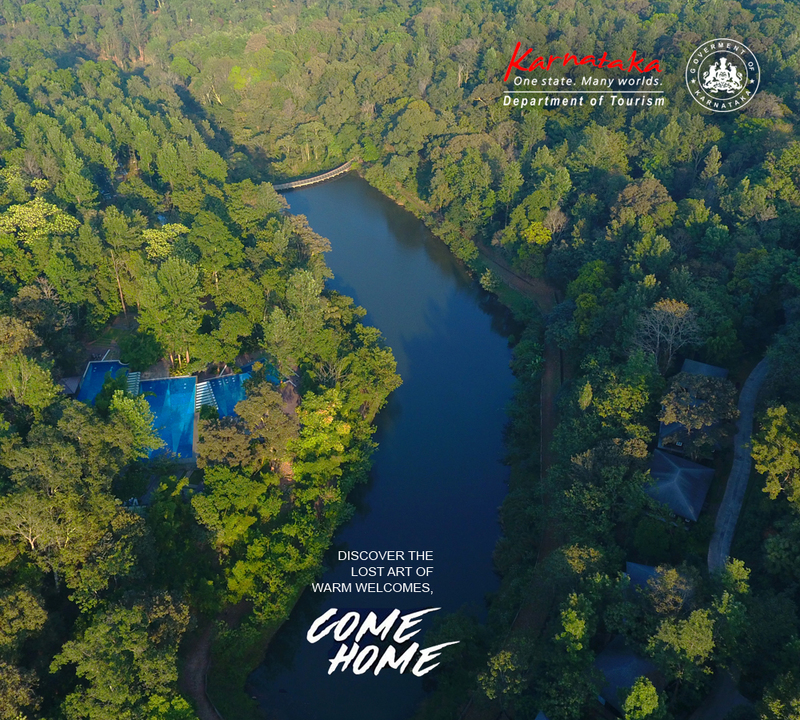 Spread over 125 acres of pristinely wooded former coffee estate, with lakes and mists and early morning dew, bird songs and cicadas and a deep hue of lush green, The Ibnii is a perfect honeymoon destination as much as a luxury family resort. Ample space separates every villa offering adequate privacy while our dainty cobbled pathways connects you to the many romantic niches left for you to discover. With a resplendent nature that seem to embrace you from all directions, your stay at The Ibnii will be nothing short of enriching to the mind, body and soul. 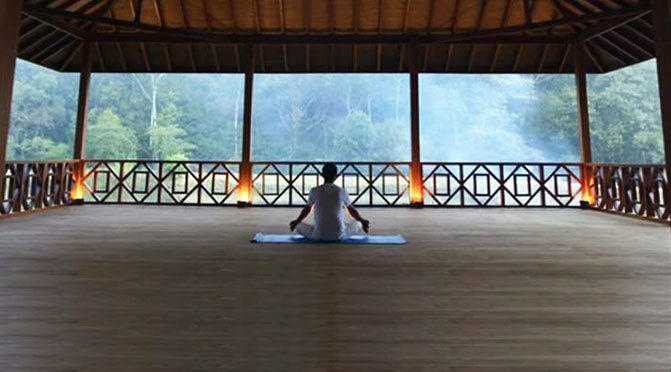 Click to view our Yoga and Wellness packages. At The Ibnii, our luxuriously appointed private pool villas or our eco-luxe wooden cottages offer you a space under the sweet moon to belong with your beloved.